When you think about the Whale Trail, which winds through CapeNature’s De Hoop Nature Reserve, southern right whales immediately come to mind. 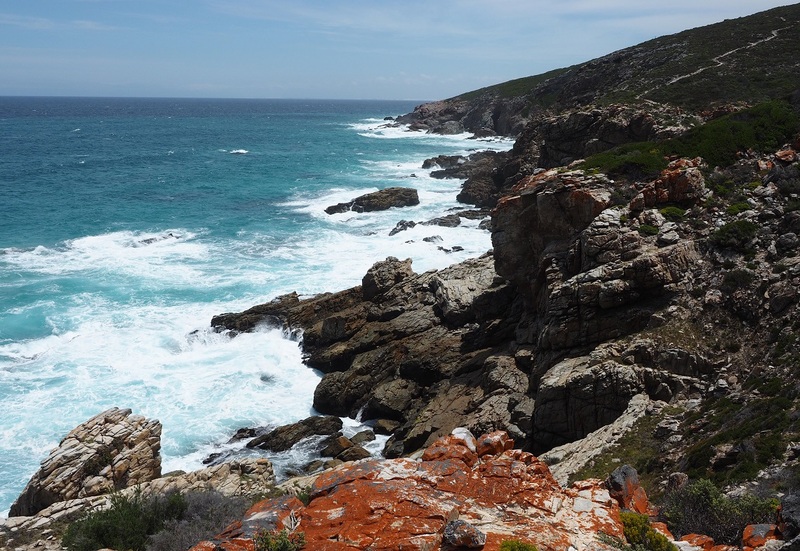 But De Hoop is not just one of the best land-based whale-watching spots in the world, it’s also home to incredible coastlines and diverse flora. There is way more to the Whale Trail than whales, says Wild traveller Gilly Louw. She describes the setting as paradise, though she warns that you should be prepared for four seasons in one day. 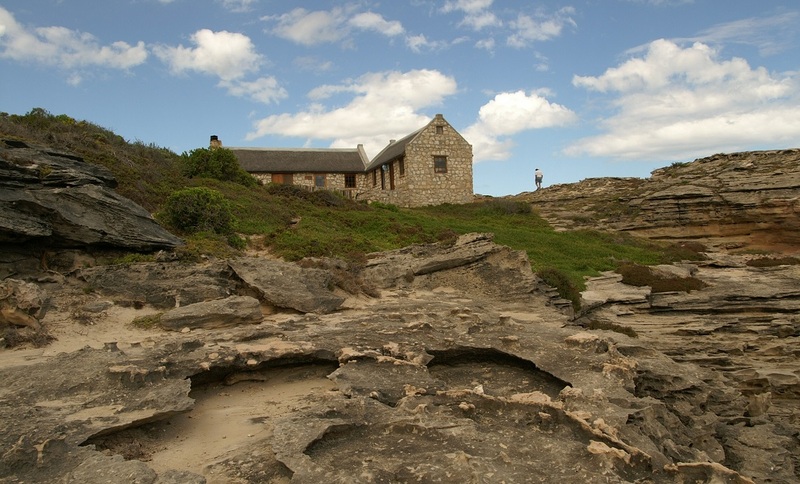 Starting at Potberg Hut in De Hoop Nature Reserve, the five-night slack-packing Whale Trail allows for a leisurely exploration of this beautiful part of the world. Because your overnight luggage and provisions are transported to each day’s destination, you only have to carry the bare necessities, such as water, snacks, camera, binoculars and, of course, protection against the sun. A maximum of 12 hikers are allowed on any one section of the trail. The hikers set off from Potberg Hut. Destination: Cupidoskraal. Day one takes eight to nine hours to complete, so it’s advisable to leave at first light. It’s almost 16km to the new Cupidoskraal hut [the previous hut burnt down in a recent fire]. We spent the whole of the first day enjoying the beautiful Potberg Mountain. Some huffing and puffing was experienced, but our effort was rewarded with a tea and cookie break at the top [611m above sea level]. The fynbos in this area is simply stunning. After the wildfire a few months earlier, the ground was erupting with geophytes and other flowers that are seen only after a fire. We also had a lovely sighting of soaring Cape vultures as we descended the mountain. We had lunch at the second Melkbos River crossing where we cooled off amongst the river frogs. Make sure to pack some horse-fly repellent! 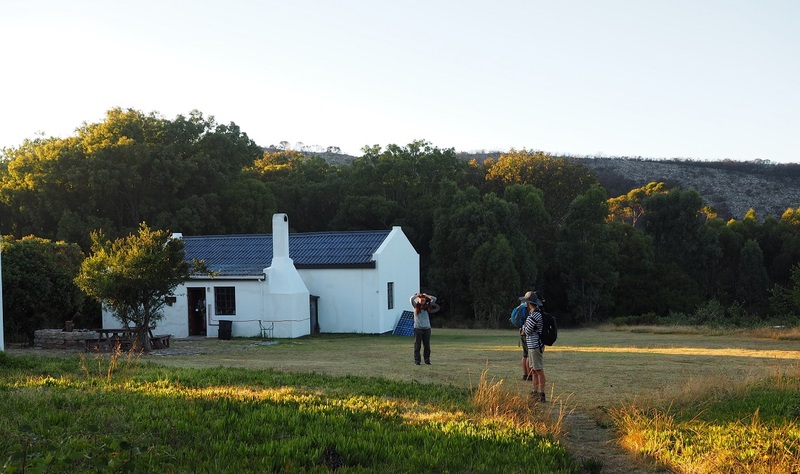 Arriving at Cupidoskraal – home to indigenous erica and protea species. Day two covers about 15km, kicking off with an early morning mountain climb with some more amazing vegetation and scenery. We were keen to reach the sea and decided not to stop for lunch. The overlapping sandstone and limestone formations as we neared the coast at the bay of Noetsie is quite something. This place is a dream, too beautiful to describe. It’s worth getting here early to enjoy the setting with its pristine beach, river mouth, rock pools and cliffs. 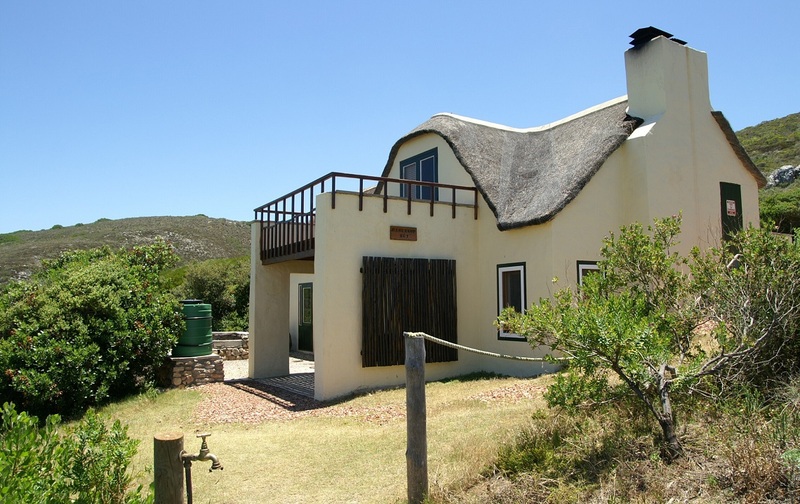 The new Noetsie accommodation is practical and pretty with great sea views. The scenic Noetsie Bay nestled between mountains and picturesque fynbos. Day three, Noetsie to Hamerkop (around 8km), was by far my favourite walk. The cliff scenery is dramatic and breathtaking. 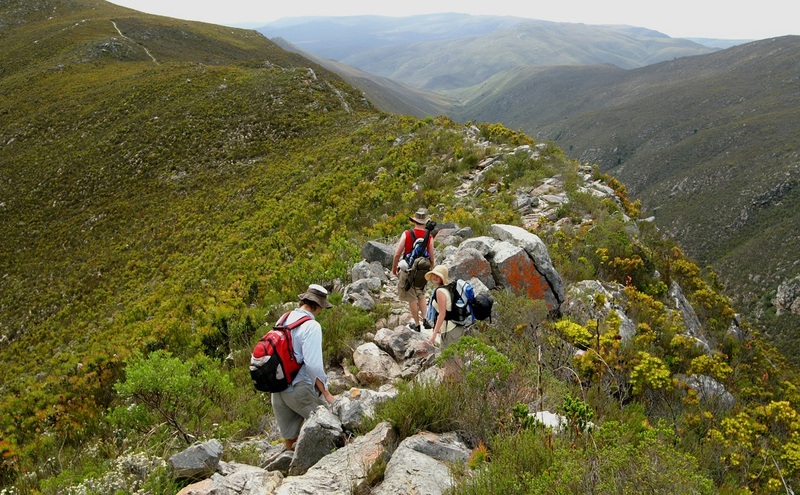 The walk is also not too strenuous as the paths are clear with plenty of good viewing spots. My highlight of the day? Stilgat, a rocky beach area with plenty of caves to explore. It’s also a great spot to have an extended lunch and a swim. The stretch of unspoilt beach before reaching Hamerkop, definitely deserves a mention. 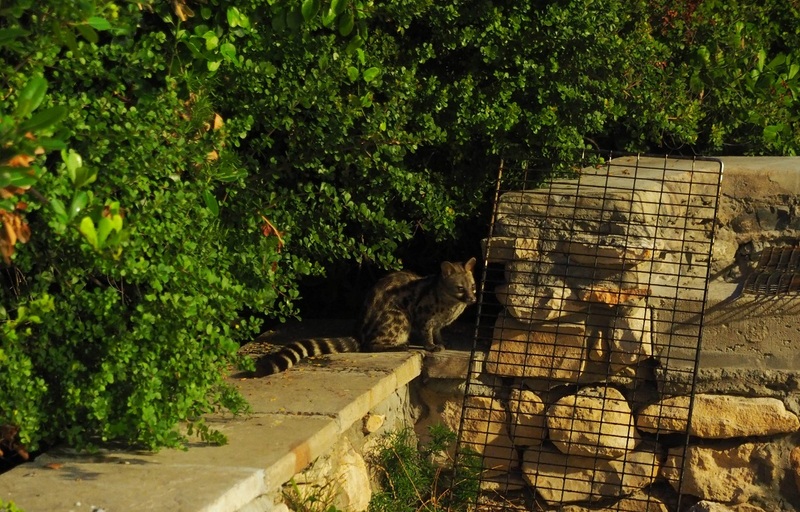 That evening a little genet visit our braai! What an awesome day. A common large-spotted genet made a surprise appearance. 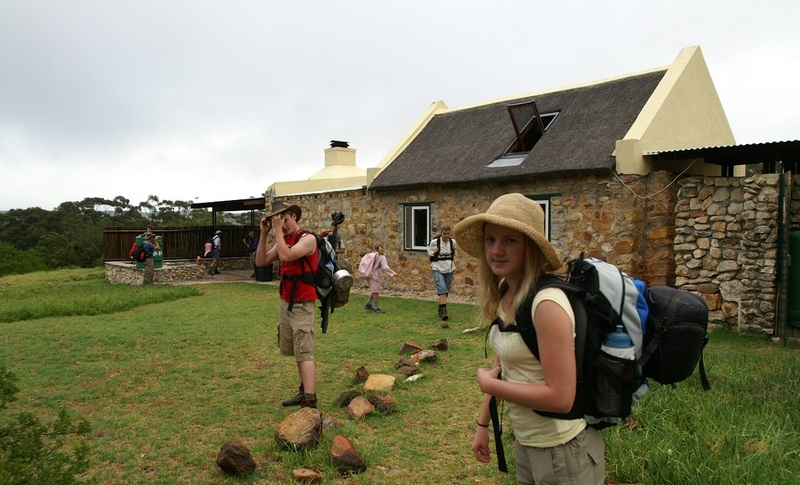 Hamerkop, one of the larger overnight cottages on the trail. Day 4: Beach walk day! The distance is about 11km of predominantly easy walking. Where else can you walk for hours on a white beach without seeing another soul other than the members of your group? That is one of the many factors that make this trail so special. 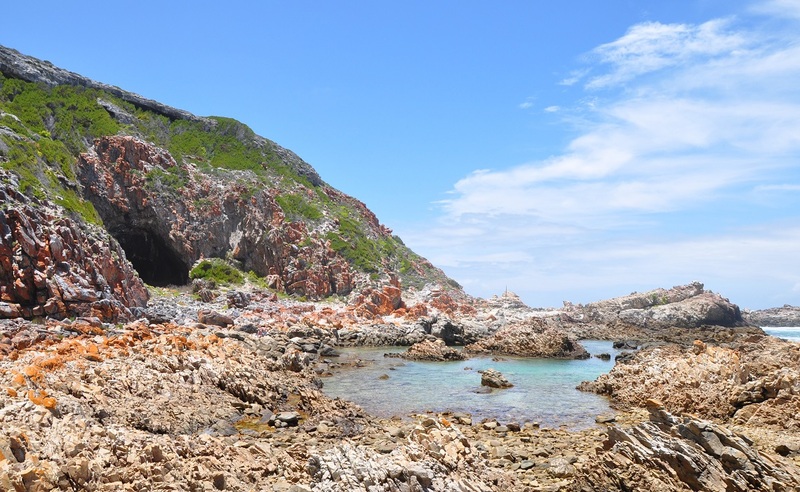 The shoreline forms part of one of the largest marine protected areas in Africa, and day four is when you can get close to the intertidal pools and interesting calcrete formations. It’s important to plan to reach the rock pools at low tide for maximum enjoyment. The birdlife here is spectacular with plenty of black oystercatchers and white-breasted cormorants, to mention a few. Strolling along the shore en route to Vaalkrans. Built on sandstone rocks, Vaalkrans Hut has a cave beneath it and the waves crash dramatically against the rocks. 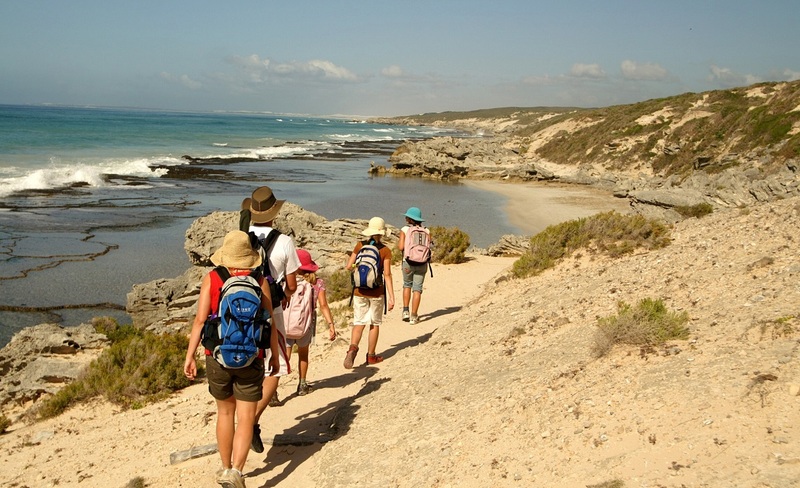 After spending the night at Vaalkrans, we set off on the trail’s last section – a 7km beach and coastal-scrub walk to the pick-up point at Koppie Alleen. There is a choice of two routes depending on the tide; we did the low tide beach route, which is lovely. Before the shuttle picked us up at 12:00, we enjoyed some time at Hippo Pools, making the most of our last hour in paradise. General fitness helps a lot and adds to the enjoyment. For in-season bookings, be sure to secure your spot a year in advance. 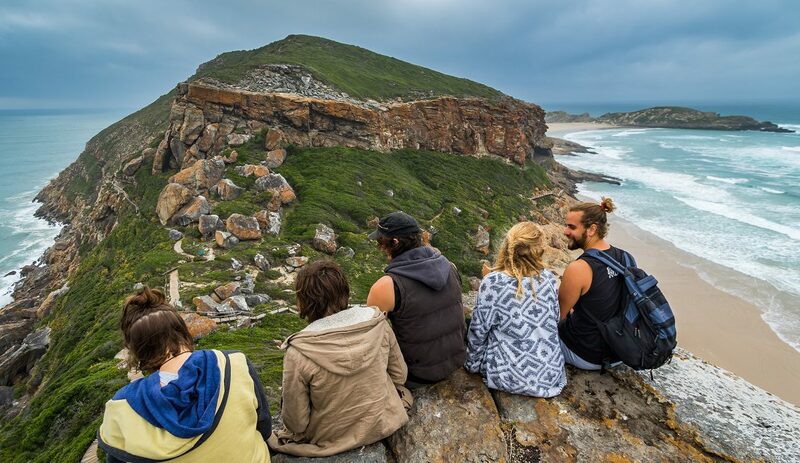 Visit CapeNature’s website and download a detailed map of the Whale Trail. For more information contact the booking office on +27 (0)21 483 0190.